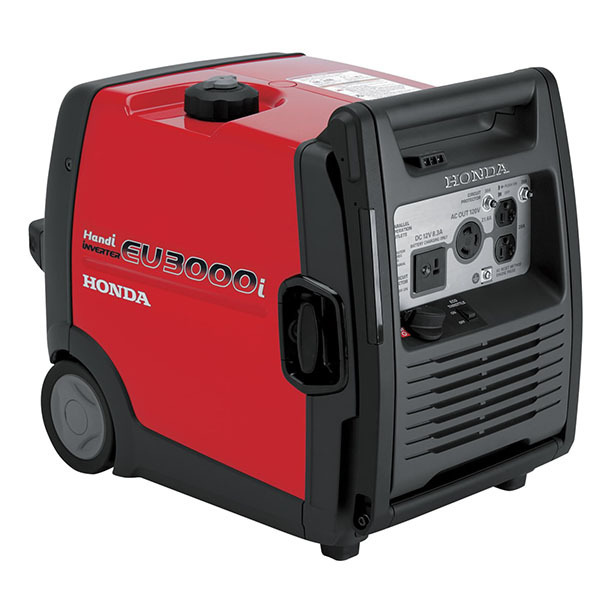 POWER FOR CAMPING, TAILGATING, AND BASIC HOME BACKUP POWER: The EU3000i Handi can operate a wide variety of appliances, including microwave, refrigerators, hair dryer, small AC units, and much more. MAX OUTPUT TO START MOST RV AC UNITS IN THE 13.5 BTU CLASS: Packs plenty of power to start up even RV A/C units up to 13500 BTUs. 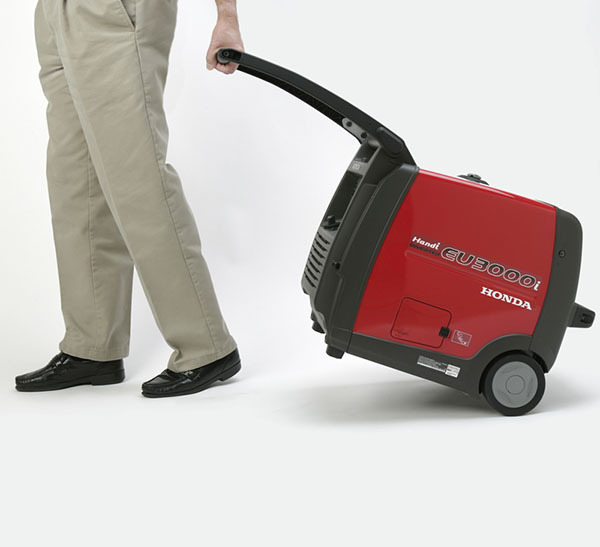 LIGHTER WEIGHT, COMPACT DESIGN - EASY TO STORE, EASY TO PACK: At only 78 lbs, the EU3000i Handi is lightest, most compact 3000 watt generator we've ever made. RECESSED WHEELS AND UNIQUE FOLDING HANDLE FOR TRUE PORTABILITY RECESSED WHEELS AND UNIQUE FOLDING HANDLE FOR TRUE PORTABILITY: The flip up handle and sturdy wheels make the EU3000i Handi easy to transport. OFFSET HANDLE FOR EASIER LIFTING: Two fixed handles makes carrying, loading and unloading the EU3000i Handi easier for one or two persons. SUPER QUIET: So quiet, your neighbors will thank you. The EU3000i Handi operates at 57 to 65 dBA. This makes it ideal for camping, supplemental RV power and any other activity that requires quiet operation. FUEL EFFICIENT - RUNS UP TO 7.7 HOURS ON 1.6 GAL. 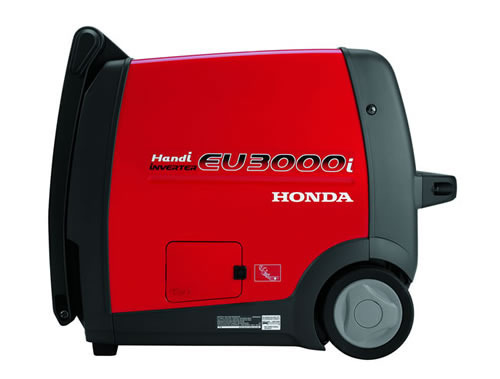 OF FUEL: Thanks to our exclusive Eco-Throttle System, the EU3000i Handi offers great fuel efficiency. Runs 3.5 to 7.7 hours on a single tank, depending on the load. ADD MORE POWER WITH PARALLEL CAPABILITY: Need more power? Add a second EU3000i Handi for additional power. Two identical models can be paralleled with an optional cable.